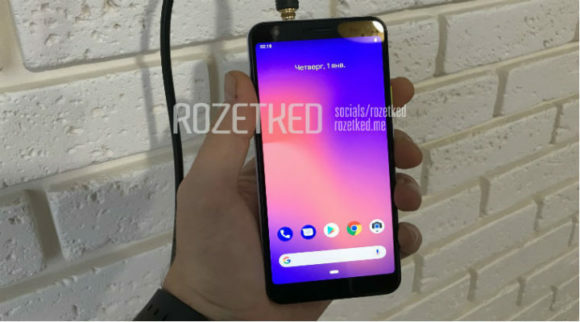 It was known that Google will to launch some new mid-range smartphones in the market soon, there was also some code for the same mid-range phones ‘Sargo’ and ‘Bonito’, Now suddenly the Pixel 3 Lite resembling ‘Sargo’ showed up on a Russian Website called Rozetked, This website also showed up Google Pixel 3 XL a week before the official launch. The Website shared many images of Pixel 3 Lite indicating the presence of 3.5mm Headphone Jack on the top of the phone. it appears to the same like the one used on the Pixel 3 and Pixel 3 XL, and on the front it has a 8MP Camera. The report further claims the Pixel 3 Lite will be running on Android 9.0 Pie and will be having a 2,915mAh battery. The above info is from the leaks and may not be 100 percent accurate, It’s too early to say anything about pricing but as it is a mid-ranger then the upcoming phone could end up costing around $400 (Rs 29,714) and $500 (Rs 35,892). Stay tuned with Alloftop for updates.